Rough sketches were translated to stitches – on the road. 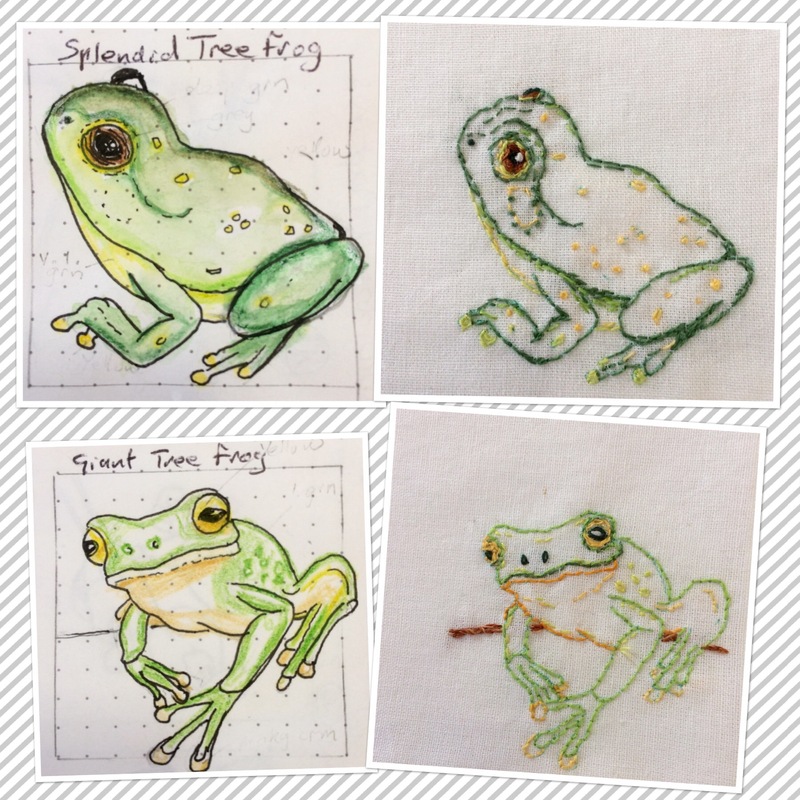 The sketches were much easier and quicker than the embroidery – but I’ve never tried sketching as a passenger! 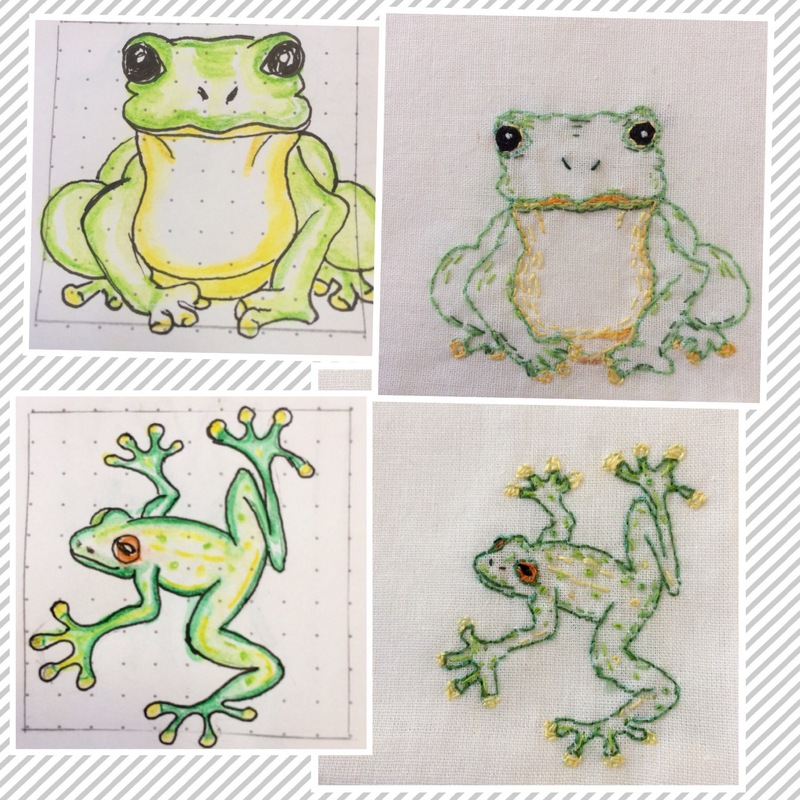 This entry was posted in All Posts, Art of a Different Kind?, Embroidery and tagged Embroidery, Frogs, Sketches, Stitches on April 25, 2018 by Helen. Traveled a long way those frogs. They were happily in stitches.